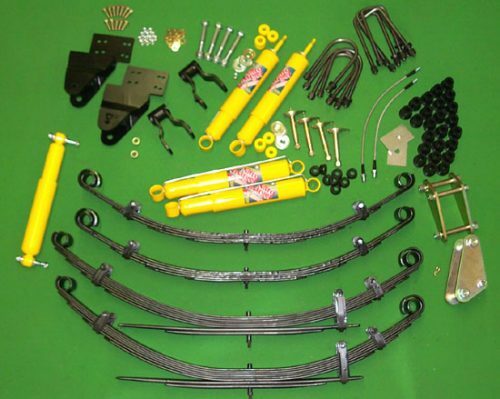 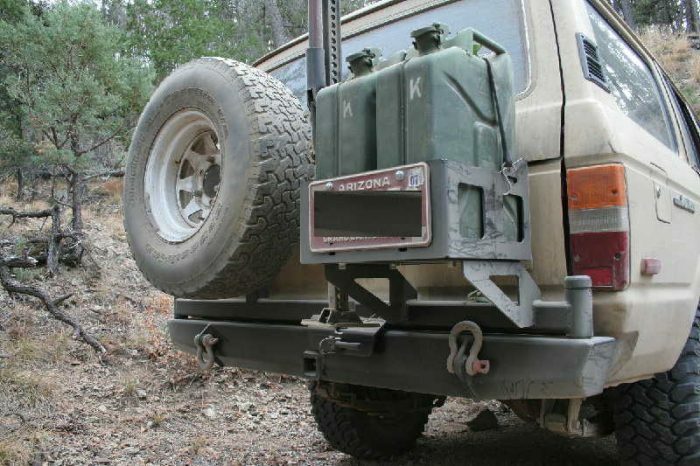 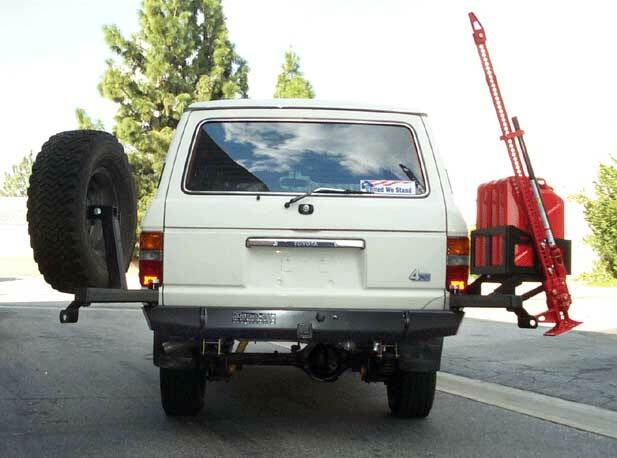 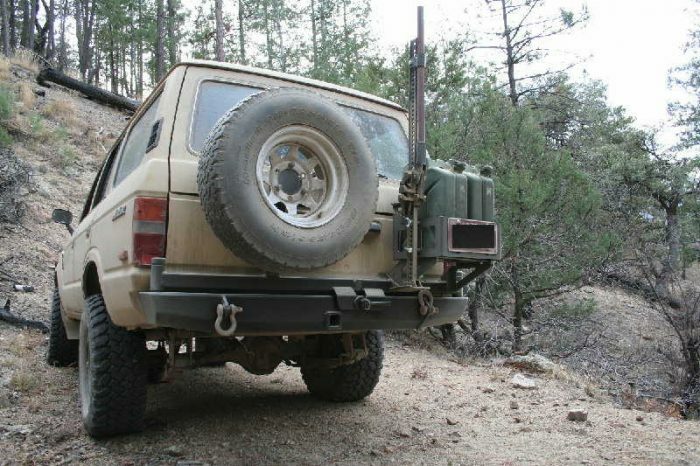 Looking for a super heavy duty tow bumper for your FJ60/62, that’s designed to take the punishment of extreme off roading? 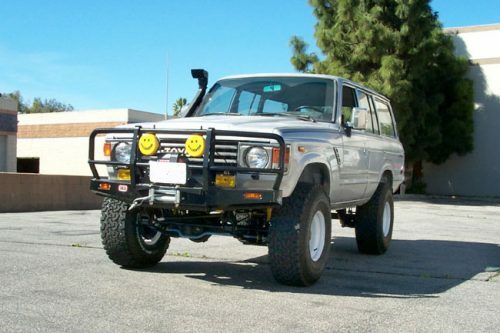 Right here’s the beef. 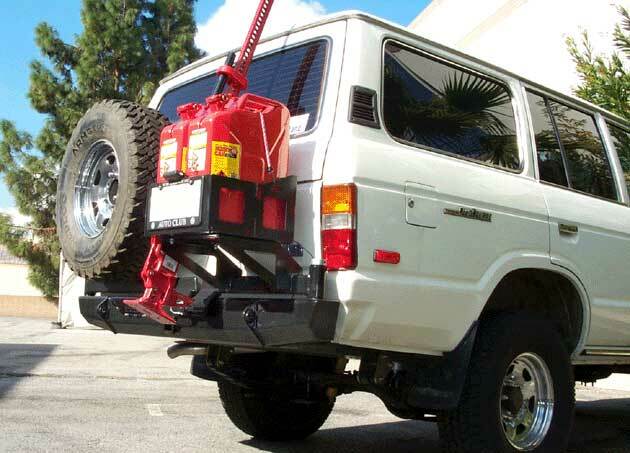 This baby will handle any tow load your vehicle is rated for…easily, will support the weight of your 60..like when sliding off a boulder, will carry a fully inflated 37” tire, 2 jerry cans, and has a built in Hi-Lift jack mount. 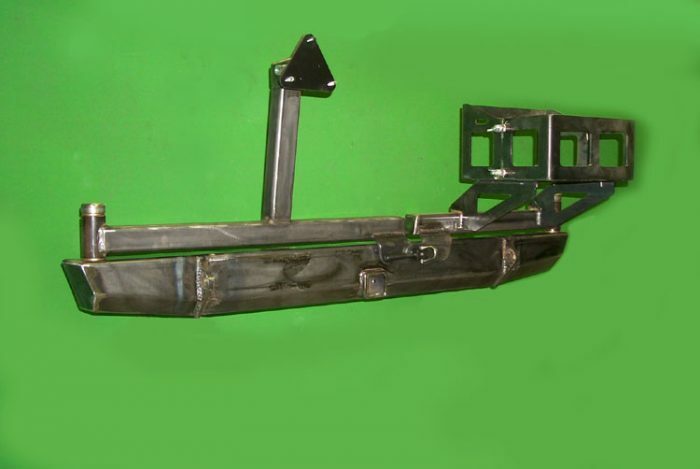 Main bumper section features tapered/upswept ends and is made from 3/16” plate steel. Ends are boxed internally for strength. 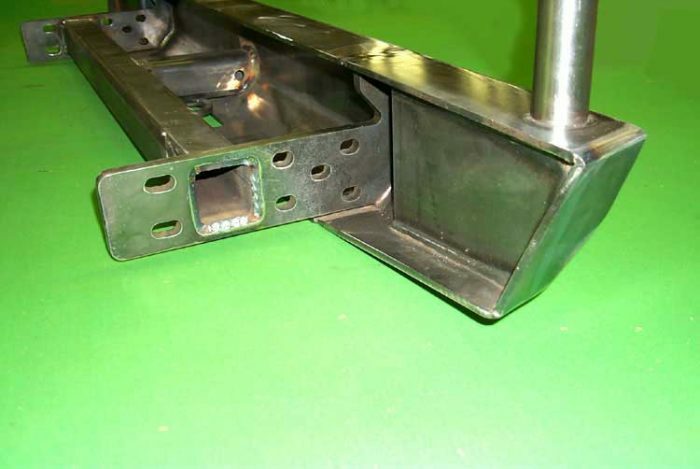 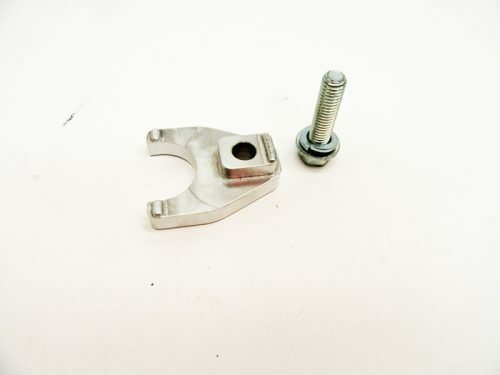 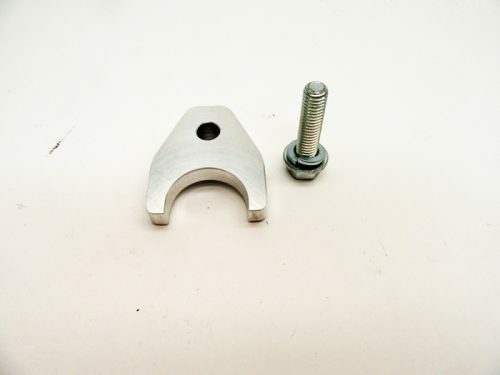 Mounting plates/D-ring brackets are precision cut from 1/2” plate steel. Cross brace is 2-1/2” square .250” wall tubing, as are the carrier arms. 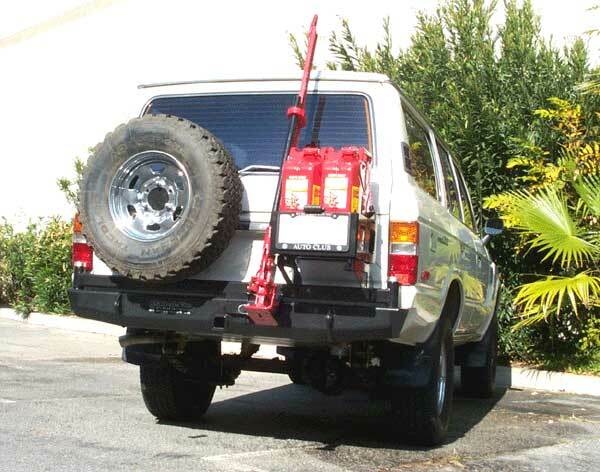 Jerry can/Hi-lift carrier basket is 3/16” plate steel and is detachable. Tow hitch is through the main bumper section for optimum ground clearance. 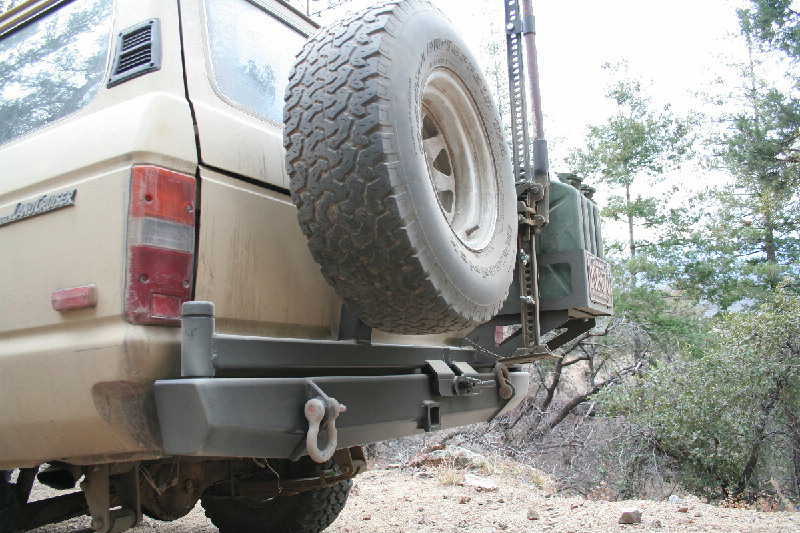 Bumper is designed to fit high & tight for optimum departure angle. 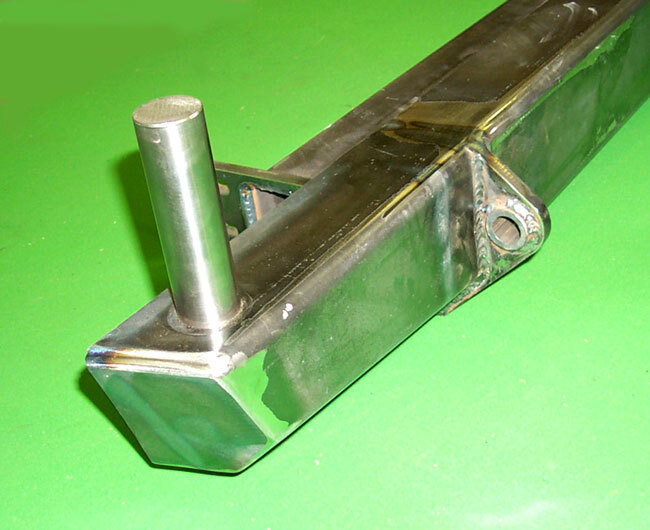 Carriers securely latch with a Carr-Lane machinists latch. 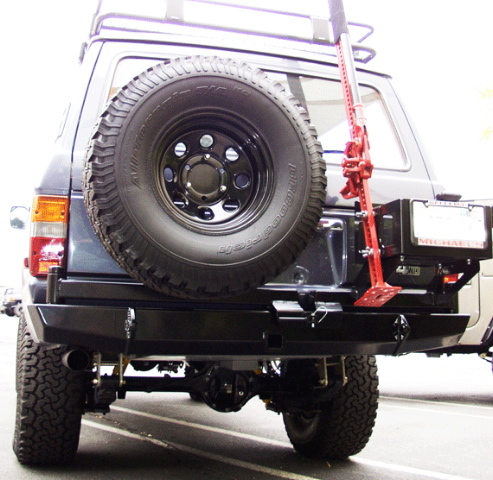 Bumper replaces rear frame cross brace. 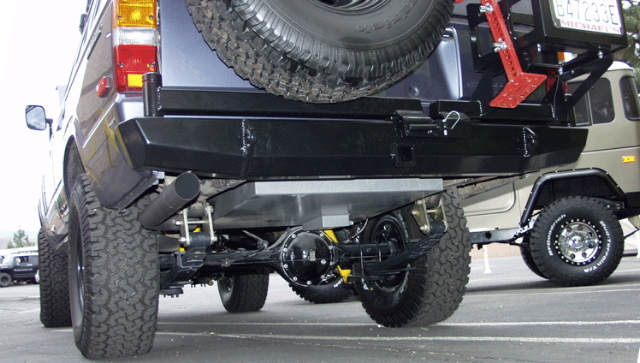 Installation requires removal of OEM rear brace. These are built to order so please allow 6-8 weeks lead time.